Dylan Thomas’s Under Milk Wood has a particular atmosphere that it is not easy to translate into another language. How should you say “limping invisible down to the sloeback, slow, crowblack fishingboating sea,” in French? Or “The boys are dreaming wicked or of the bucking ranches of the night and the jollyrodgered sea.” Even more challenging maybe would be “In Butcher Beynon’s Gossamer Beynon, daughter, schoolteacher, dreaming deep, daintily ferrets under a fluttering hummock of chicken’s feathers in a slaughterhouse that has chintz curtains and a three-pieced suite, and finds, with no surprise, a small rough ready man with a bushy tail winking in paper carrier”. 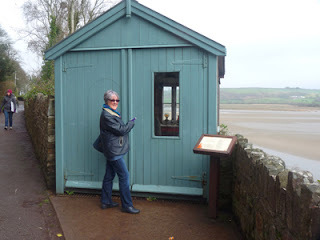 Dylan Thomas's Writing Shed Milk Wood? The main point is you probably can’t translate it accurately so you don’t. Except that in 1972 a French theatre company did translate it into French and performed it as a play at the Maison de la Culture in Rennes. What was lost in translation was made up for in the acting. There was totally in this piece the atmosphere of Thomas’s sleepy, intensely populated little village with all its secrets staring out at us. It may have helped that we were in Rennes, the capital of Brittany. Welsh and Breton is very similar when spoken. Chances are the people are similar too – especially the ones who live in small towns or big villages. At any performance the audience contributes Who was the audience? It was made up of academics, scholars of English literature and language students. Yes, I was in that audience. There were ten of us. Four French students who studied English and German. Four English students studying French and German and two German students studying English and French. We were all fluent in each others' languages. We watched the play, we ate together afterwards, we drank read wine and we discussed Dylan Thomas into the early hours. We spoke French. After all, we were in France. Just occasionally we would stumble and then we could speak in our own language. The others would understand. And sometimes only one of those three languages could quite accurately express exactly what we wanted to say. We had a real tool to play with there. Oh, and the Maison de la Culture, by the way? Yes, a great initiative by André Gide, the novelist, when he was minister for culture under De Gaulle’s government. De Gaulle, remember, was the big guy who constantly refused to have us in the Common Market. We’re throwing that privilege away?! Gide created buildings that housed a theatre, other small performance spaces, a music library, a book library, coffee bars and bars where creative practitioners and their audiences could meet. No longer did people need to dress up to go to theatres and now it was affordable for the lower earners including students. Our own Everyman Theatre (Liverpool) is a little like this. My Creative Café Project was inspired by the Maison de La Culture. Our theatres have come on as well, though they’re not quite as friendly as the Maisons de la Culture were. It’s important that we learn from each other. Yes, I hear you. This is fine for the rich. But I‘m not rich. I was born working-class and am arguably middle class now but not rich. However, I did this on a student grant. Okay, now it’s a loan but students get their fees waived if they do two semesters on an exchange and help anyway even for one semester. The money? 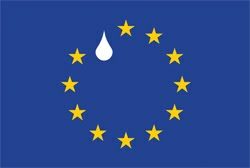 EU money. Yes, we’ve paid it in but it comes back bigger. Two or more heads are better than one. The whole is bigger than the sum of its parts. When we went to see Au Bois Lacté, ten heads and three languages were better than one. I guess also the writer in me was looking at how Thomas was achieving his effects and the adaption, including the translation, was fascinating.